Enjoy our high level transfer services to/from Ammoudi and we promise you the best transport prices without waiting at airport, port, station and without hidden debits. Santorini transfer services to/from Ammoudi. In Ammoudi, there are port services and a few taverns. Several fishing and tour boats moor there during the summer, creating a very picturesque scenery. 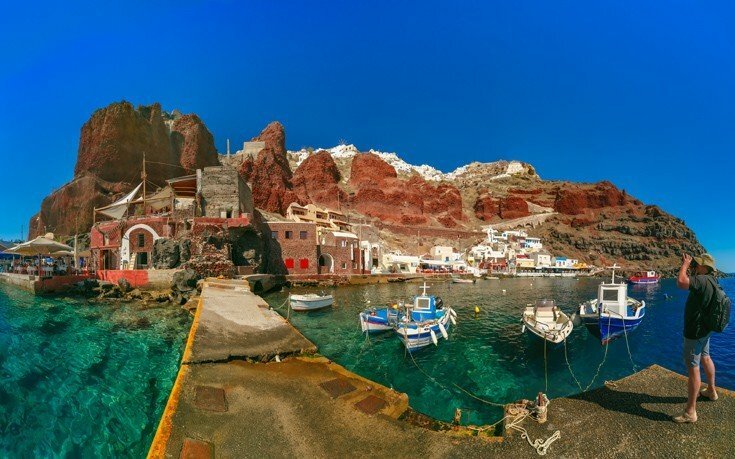 Ammoudi is encircled by the impressive high red cliffs and it is considered the most picturesque village of Santorini. 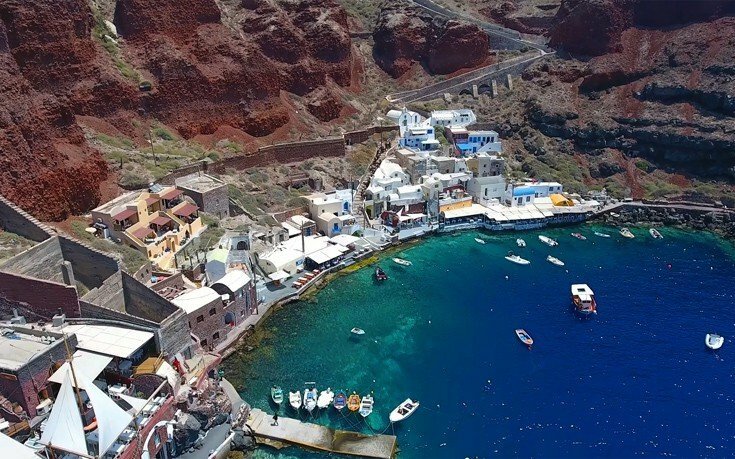 Approximately 300 narrow and steep steps lead the way between Ammoudi and Oia. Donkeys can also be used for transport. A small rocky beach stands right next to Ammoudi, ideal for diving. 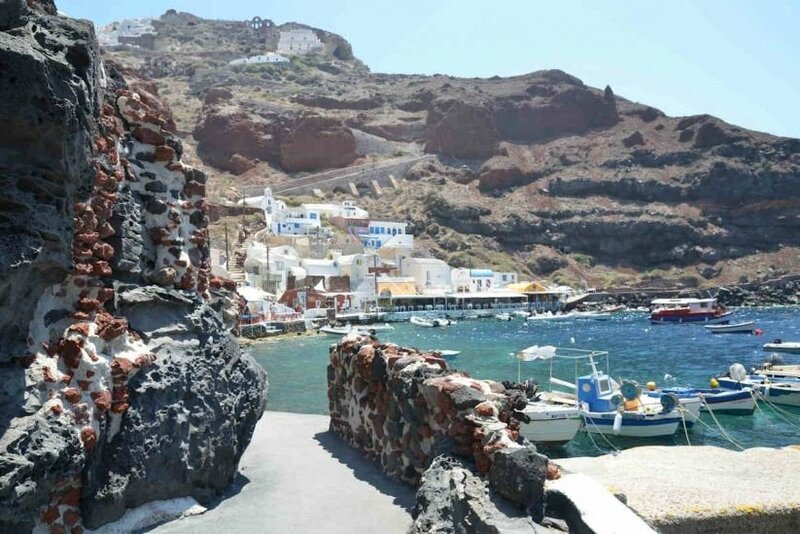 Several tour boats stop in Ammoudi on the way to Thirassia islet and the famous volcano. Enjoy our high level transfer services to/from Ammoudi and all over Greece and we promise you the best transfer prices without waiting at airport, port, station and without hidden debits. Offers low Cost Santorini Airport Transfers Services to/from Ammoudi with (shuttle, minibus, van, taxi, cab, minivan, limousine and coaches).